Leading manufacturer of life safety systems, Hochiki Europe, has extended its energy-efficient FIREscape LED emergency lighting range with FIREscape lite; a new mains-powered, emergency lighting solution. Leading manufacturer of life safety systems, Hochiki Europe, has extended its energy-efficient FIREscape LED emergency lighting range with FIREscape lite; a new mains-powered, emergency lighting solution. The stand alone, self-contained products offer greater flexibility for refurbishment and other smaller projects to achieve latest standards compliance without the need for a control panel governed lighting system. 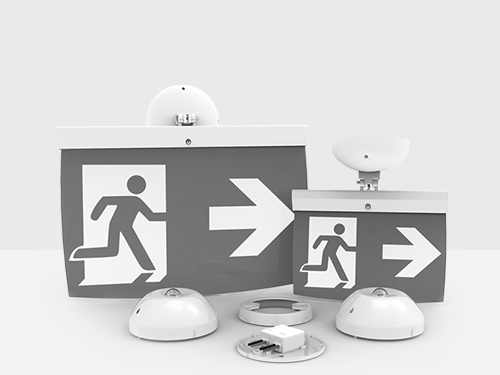 Available as a range of twelve pre-packed, off-the-shelf kits, FIREscape lite features a uniquely designed ‘step-down' transformer, enabling the products to be mains powered, along with either four types of luminaire or eight types of exit sign. The installation process is reduced significantly as the standalone lighting units can be placed anywhere within a building, as long as there is a mains lighting supply. Ian Watts, emergency lighting manager at Hochiki Europe, explained: “Small developments tend to have relatively straightforward life safety needs, simply because they have a limited number of rooms, each with a restricted range of functions. This means they don't need the kind of advanced emergency lighting systems used in larger premises. FIREscape lite is a brand new component of the award-winning FIREscape range which features an array of emergency lighting products, including energy-efficient LED luminaires, exit signs, I/O devices and compatible control panels. The collection enables building owners to comply with life safety legislation, while benefiting from low operating costs. All FIREscape products benefit from automatic testing functions that alert building managers to any performance issues, reducing maintenance requirements and optimising building safety.